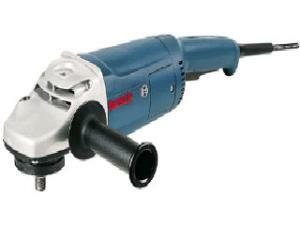 The 7" large angle grinder can be used for a variety of tasks. including grinding metal, tuck pointing mortar joints, and cutting masonry and tile with a diamond blade. The grinder features a side handle in addition to the main handle, which reduces vibration. GRINDING WHEEL FOR METAL - 7"
GRINDING WHEEL FOR CONCRETE 7"
* Please call us for any questions on our grinder 7 inch rentals in Hillsdale and Ridgewood NJ.